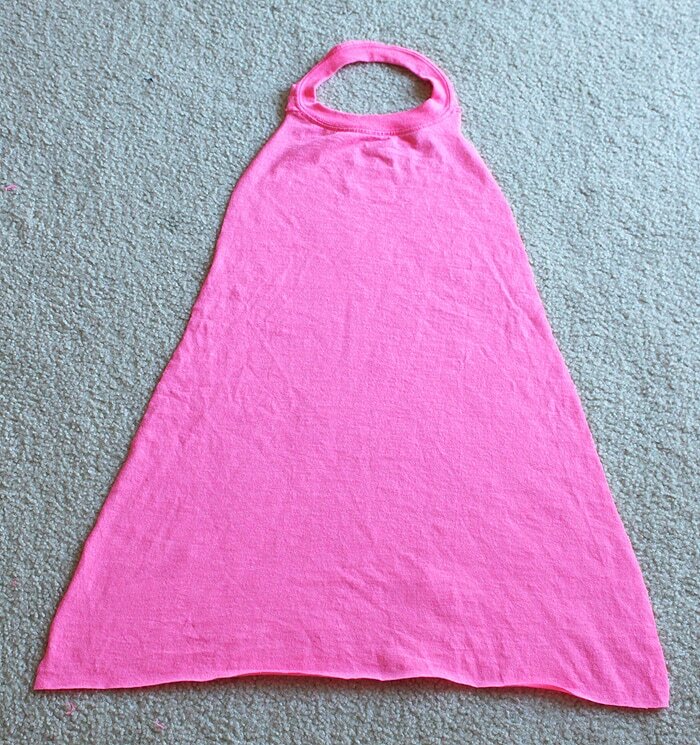 I made this no-sew superhero cape as a part of Audrey’s Batgirl costume. 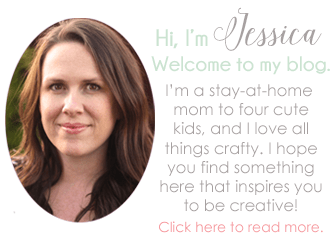 To see tutorials for all of the costume elements, go here. 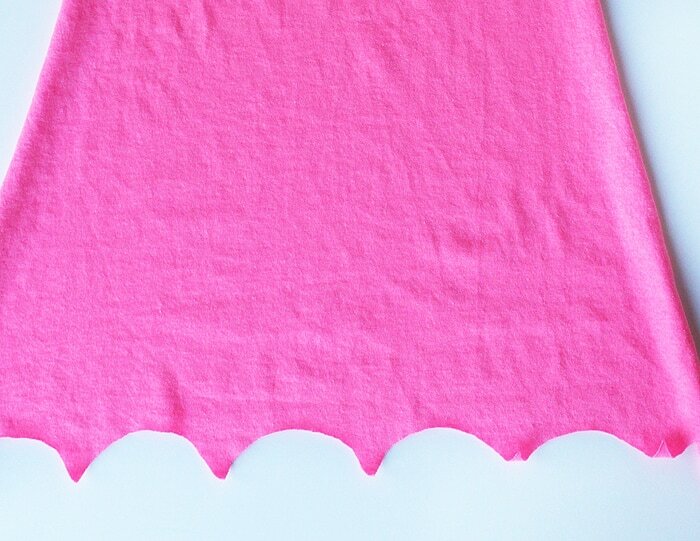 I love this method for making a superhero cape, because kids can get the cape on and off easily themselves. Also, you don’t have to sew it, so that’s a win. Start with an XL t-shirt. 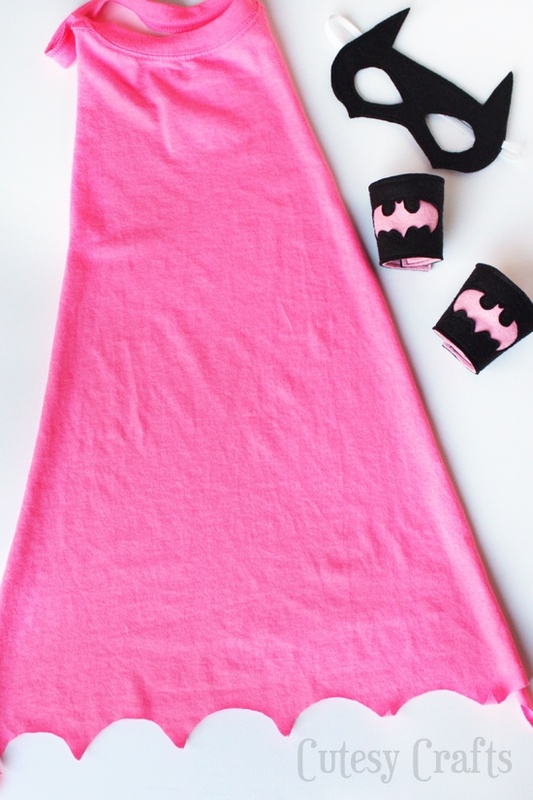 This one has the bottom cut off because I used it to make a ruffle on Audrey’s Batgirl shirt (see that here.) 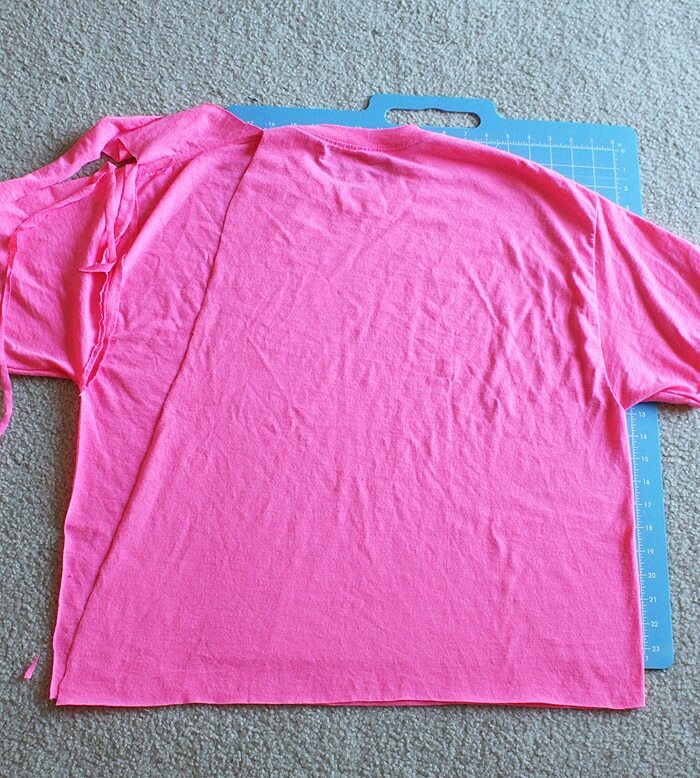 Lay the shirt out flat with the back facing up. 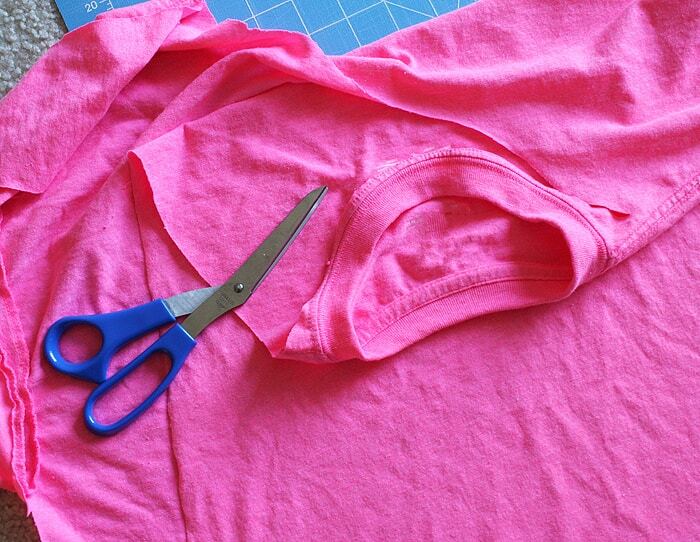 Start in the bottom corner and cut at an angle up to the collar. Cut around the collar, but don’t cut through it at all. 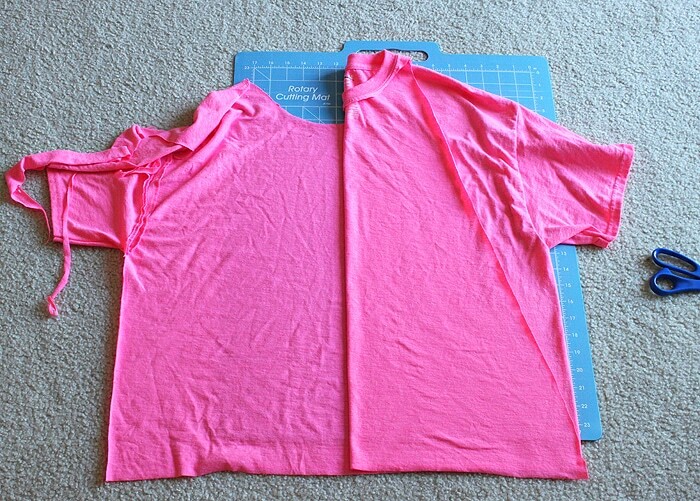 Fold the part over that you already cut to use it as a guide for cutting the other side. This will help you get everything symmetrical. 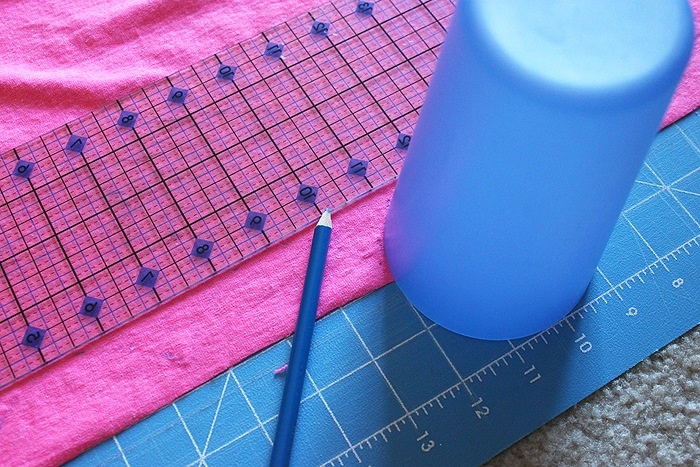 No need to hem anything because jersey cotton (t-shirt fabric) does not fray! So you can be done here, or add some scallops like I did. Cut the half circles out, and that’s it! 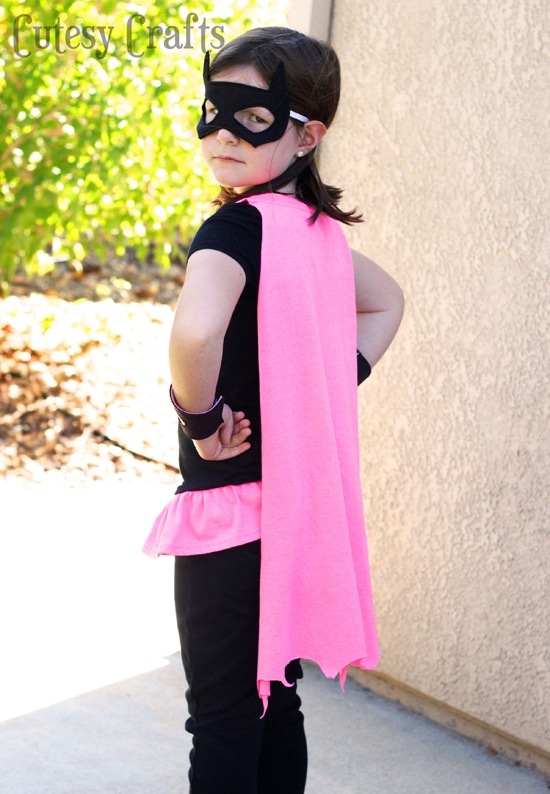 Make a mask and cuffs, and this could be a great gift for the little superhero fan in your life!